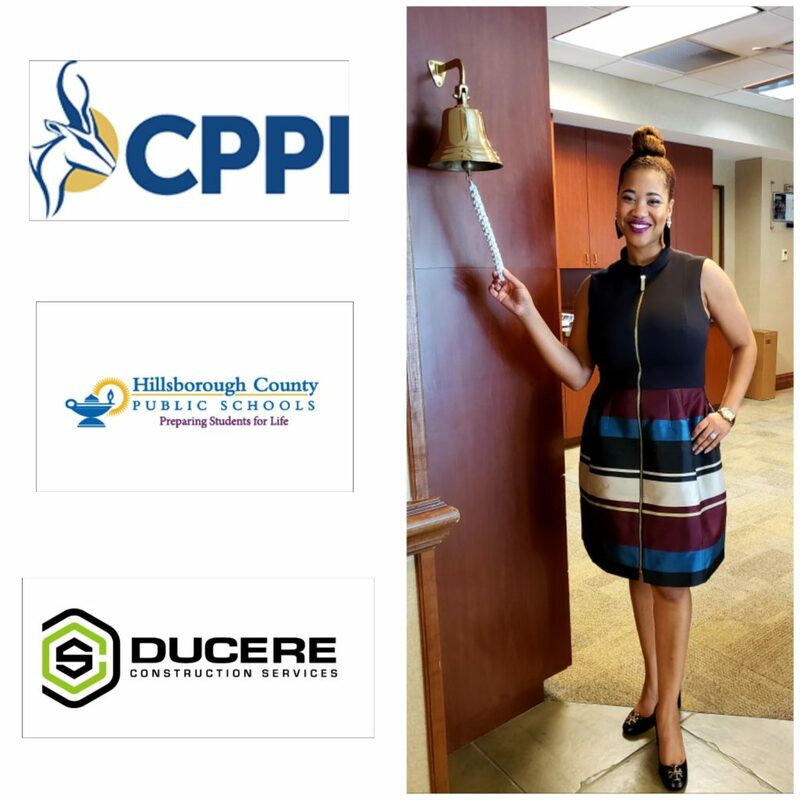 Charles Perry Partners, Inc. (CPPI) and Long and Associates Architects/Engineers, Inc. are currently in the design phase of the 2019 REFERENDUM PROJECTS – PHASE 1 Benito Elementary School, Clark Elementary School and Wharton High School Tampa, Florida in an effort to gain interest in the upcoming construction of these projects. You are invited to attend a pre-construction Meet & Greet to learn more about opportunities associated with these three upcoming projects. Don’t miss out! Be There! A special THANK YOU to all the individuals that participated in the CPPI/HCA Meet & Greet. 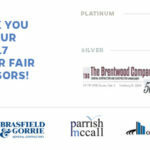 The Meet and Greet was well attended by a diverse group of business owners and professional firms. 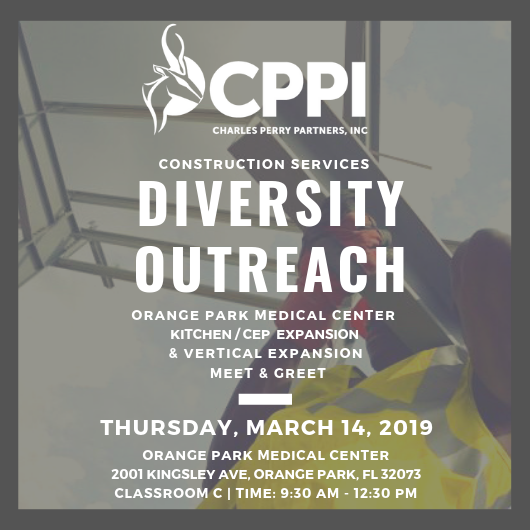 We look forward to the attendees having a share in the commercial construction projects available at the Orange Park Medical Center. Orange Park Medical Center Kitchen/Central Energy Plant Expansion and the South Tower Vertical Expansion Meet and Greet! 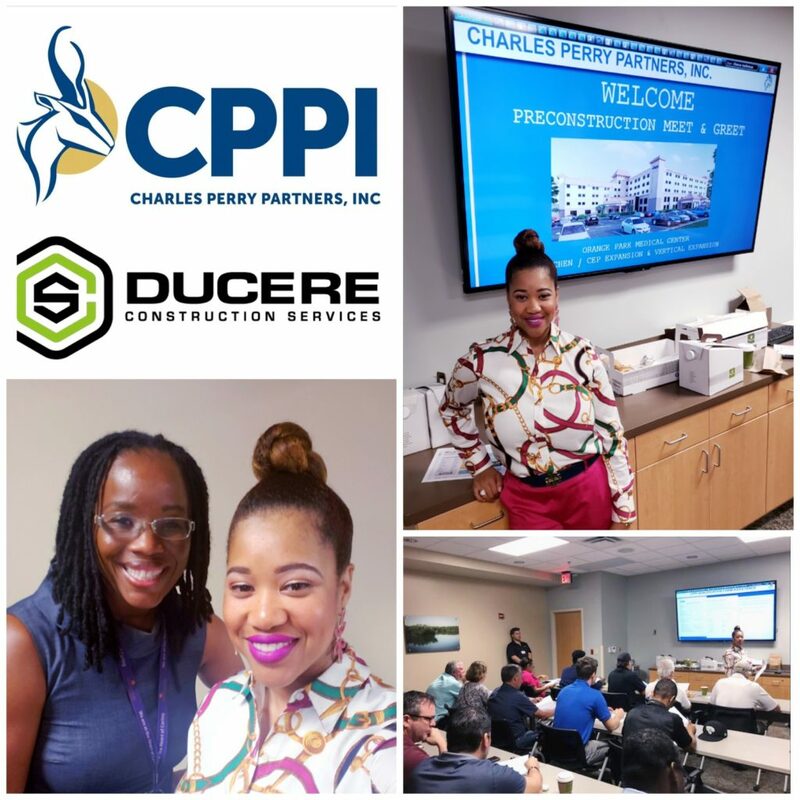 Charles Perry Partners, Inc. (CPPI) and HCA are currently seeking WBE/MBE partners in the Jacksonville, FL and surrounding area businesses, to join us on the upcoming Orange Park Medical Center Kitchen/Central Energy Plant Expansion and the South Tower Vertical Expansion projects in Jacksonville, FL. 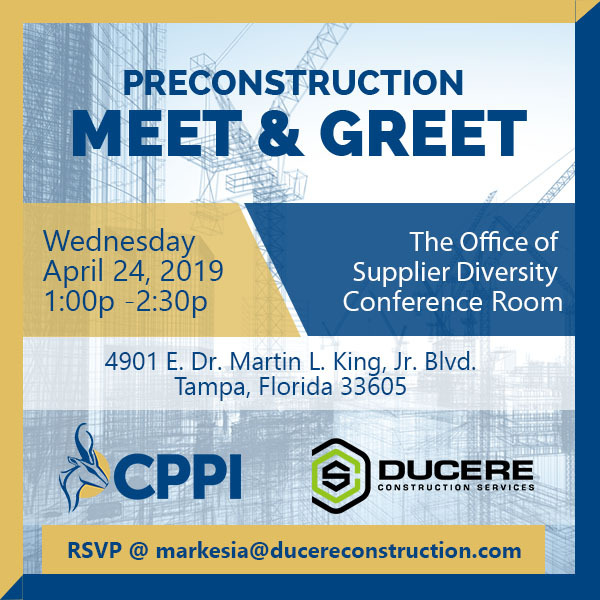 You are invited to attend a pre-construction Meet & Greet to learn more about opportunities associated with these two upcoming projects. 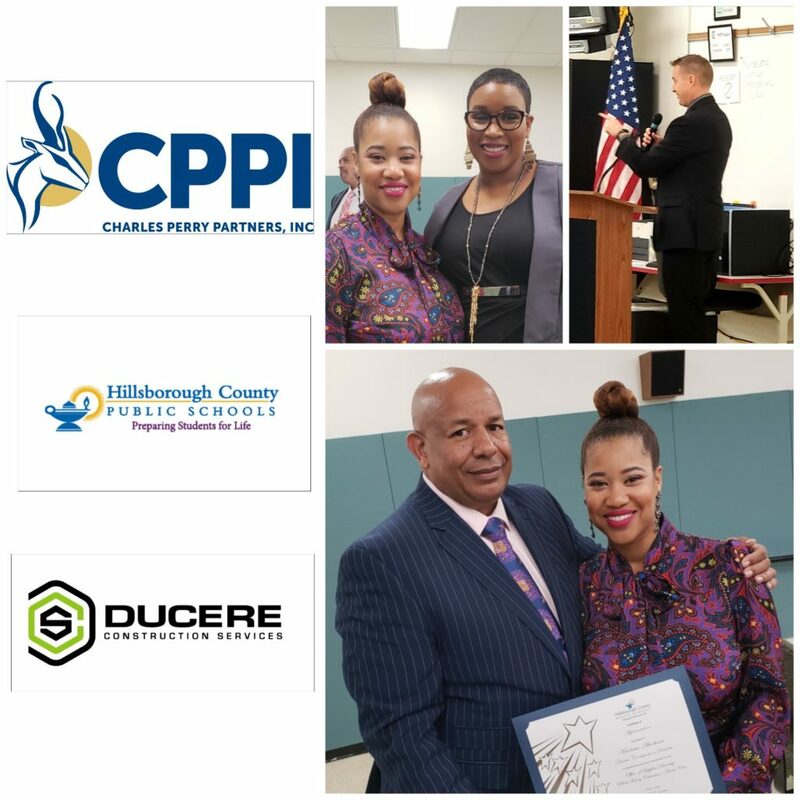 On a monumental day in Tampa, Florida, Charles Perry Partners Incorporated (CPPI) and Ducere Construction Services (DCS) supported the Hillsborough County Public Schools Office of Supplier Diversity and Hillsborough Branch of NAACP Black History Month Celebration. At the event, Superintendent Jeff Eakins, of Hillsborough County School System, spoke on the focused successes of the 8th largest School System in the Nation. The quote “Life is About Moments; Don’t Wait for Them, Create Them” was the theme of an eloquent Key Note address given by Mr Danny Persaud, Chief Executive Officer of MidFlorida Armored. Mr Persaud has been responsible for overseeing the logistics of approximately $300 Billion in US funds. The Hillsborough County Supplier Diversity Office also presented Markesia Akinbami and CPPI with a special award in which Dr. Minerva Spanner—Morrow and Mr Eric Graham (Hillsborough County Supplier Diversity Officers), organized in honor of the Anniversary of the Celebration. Thankfully, if you have seen one finish, you have not seen them all. In fact, innovations in the available options for cladding surfaces are ever on the horizon. Eco Spec, a manufacturer’s representative firm, specializes in bringing these in-demand solutions to the industry. This month, we would like to feature their elegant, versatile alternative to FRP (fiber reinforced plastic): VRP, which stands for Vitrulan Reinforced Polyurethane. The system starts with Vitrulan woven 100% glass fabric and comes in rolls like wallpaper. It can be applied onto an existing or new wall and then painted with a two-part, tintable, low VOC water-based epoxy and finished with a coat of low VOC clear, water-based polyurethane. In 2009, he was a disappointing 7th Round, 232 draft pick. He experienced a heartbreaking possible career-ending injury. NFL Pro Bowl Voters never selected Eldelman for a single NFL Pro Bowl appearance. Also, many Sports Analyst considered Edelman to be small in comparison to the size of many other NFL wide receivers who fit the mold of a Football Hall of Famer. Nevertheless, in Atlanta’s Mercedes-Benz Stadium Sunday, Edelman added to postseason numbers that are second-best in NFL history, behind only the Football Hall of Famer, Jerry Rice. The bottom line is that despite Edelman’s past and doubters, he has consistently, Came Up Big When It Has Counted The Most. Edelman’s simple yet powerful words, after winning the Superbowl, “Tough times don’t last, tough people do”. Underscores why I believe that it is vital to Come Up Big When It Counts Most. Although we have experienced failures and successes in life, we are committed to supporting other families in immediate need of support. 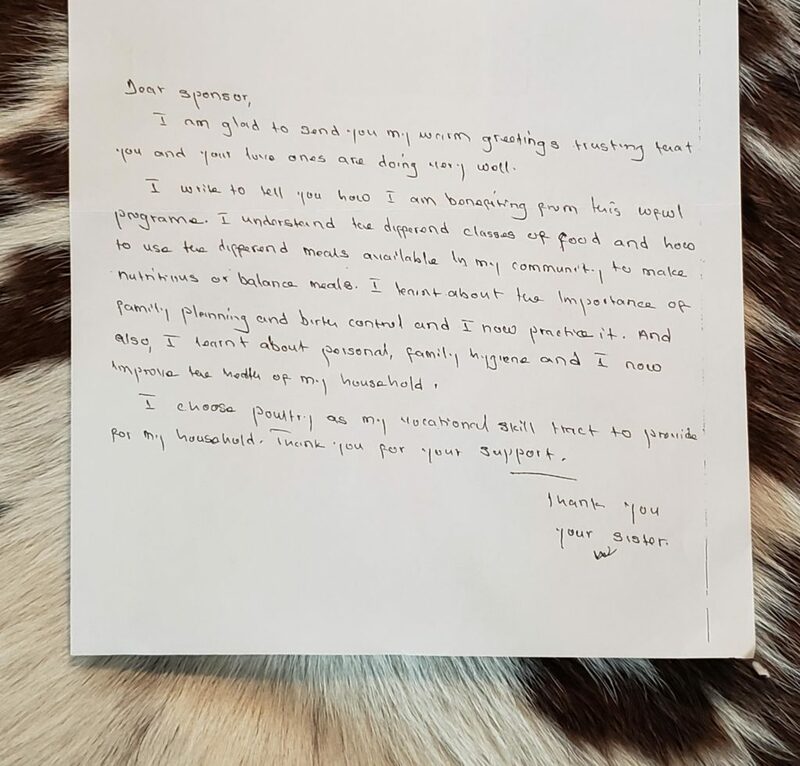 In closing, I share with you a letter from one of our sponsored sisters for inspiration today. BE INSPIRED! To learn more about Women For Women International, click the link below. Many songs have been written about how one person can light up your life. For Julie Johnson, CEO/Founder and Creative Director, LiteSwap, Inc based in Gainesville, FL, this is not a mere fanciful gesture of a heart-struck musician. For over 18 years as a lighting designer, Julie has been doing just that, helping design and construction industry professionals light up their projects. She is passionate about how people and the environment are affected by light. Seeing the need to improve industry options for lighting design, Julie began the development of proprietary software that streamlines the process of searching, comparing, and purchasing light fixtures for construction projects. DCS: What makes your software unique? Julie: This software allows designers, contractors and owners to be more efficient and collaborate faster when it comes to lighting systems. By removing time-consuming processes and allowing the software algorithms to do most of the work, the team can spend more time on what is important and less time on research, selection, and approval. Built by industry professionals and algorithm specialists, the software goes beyond the typical product specification and dives into the actual performance data to make sure the right product is selected for the project and application. DCS: This is a great concept! We see that LiteSwap offers other services for lighting as well. How did you get started? Julie: I came up with the idea to help provide a more efficient way to research, select and approve lighting products when lighting product technology advancements added complexity to my daily workload as a lighting designer at an engineering firm. I noticed that over 18 years as a lighting designer, the process for finding and comparing products took more time as it became harder to understand how lighting products truly perform in the real world compared to documentation. Combined with advancements in lighting technology, more metrics were needed to truly understand the differences between products to ensure proper application and design was implemented. Another frustration was the reactive nature of the industry during the design and construction process. This reactive process added time and cost to tight construction budgets. By creating a proactive solution, added time and cost is mitigated and the entire design/construction/owner team wins. It is a hard journey with several hurdles, but the industry is in dire need for this solution and there are several supporters out there to see this through. DCS: Can you talk about CPPI or DCS and their role in helping you get started or continuing growth? Julie: I can say that without CPPI and DCS, LiteSwap would not have the same progress to date. Both mentors were instrumental by providing guidance on product and service offerings and nurturing client and future client relationships. 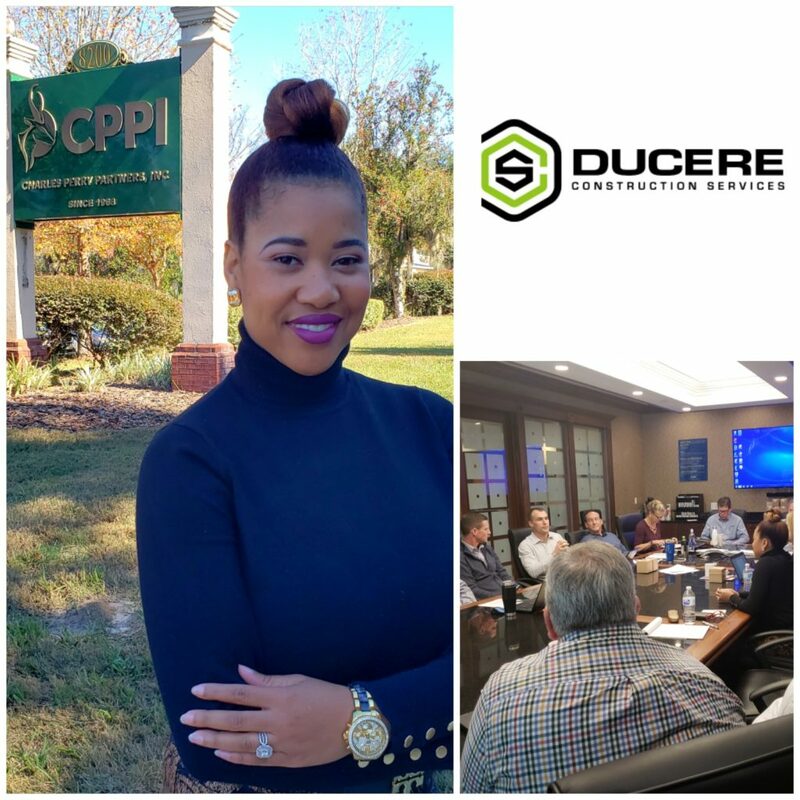 CPPI set up introductions and meetings with key players at the University of Florida and City of Gainesville, while DCS introduced a positive business model on all relationships and the importance of networking. Both CPPI and DCS emphasized the importance of being a good leader and how personal and positive connections to others can help lead to success. LiteSwap and I continue to grow as both mentors share their lessons learned over the years. I have been truly blessed and am happy to have met and worked with both of them. DCS: Thank you, Julie! 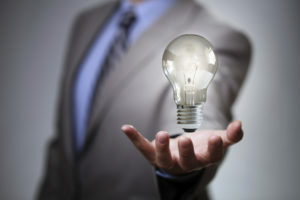 We certainly enjoy working with driven, problem solving oriented entrepreneurs and you are exceptional. How do you define success? Julie: I define success by each milestone I meet and the positive impact I can have on others. I want to be a catalyst to positive change in the industry that results in better lighting in buildings. We have all of this amazing technology and research to tell us the psychological, biological and environmental impacts of good light. I just want to make it easier to provide good lighting in all buildings and knock down the barriers. If my journey helps anyone along the way, I can wake up with a smile no matter how hard the day will be. It has never been about me. It has always been a journey of something bigger. This is what feeds my soul. DCS: We too believe in contributing to something bigger and therefore saw synergy with our companies from the start. 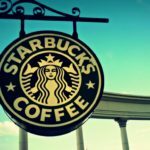 Who is your target customer and how did you find them? Julie: Because lighting systems affect several key players in the construction industry, I have several target customers: architects, lighting designers, interior designers, lighting manufacturers, lighting reps, distributors, general contractors, electrical contractors, buildings owners (such as the universities, commercial developers, etc.). 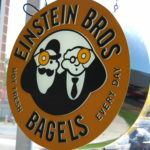 I am currently relying on relationships to get me in the door. I am also learning about the RFP process and how to find and answer those. I plan on attending conferences and networking events to keep building relationships to get on projects. I want to show customers/clients that I am really there to be a team player and help everyone build better buildings and make more profit. My first major client is the University of Florida. I am currently helping them update their campus Lighting Standards and Design Guidelines and am really excited about this! Go Gators! DCS: Wonderful, Julie! Thank you so much for sharing your experience with us and may your endeavors continue to succeed!